No more lost teeth. 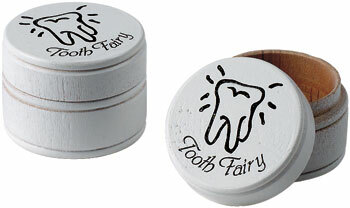 Make it easy on the tooth fairy and save your tooth in this handy tooth box. 2.5” painted box. Made in U.S.A. by Maple Landmark.